For her design diploma thesis project, Ilana Ben-Ari created a toy that people with visual impairments could play with their sighted classmates, developing a language around communication and empathy. The formation of her company, 21 Toys, came after what she saw happen with that project. Most recently, the toy is being used in a psychological lab established at Bar-Ilan University for kids and adults suffering from trauma. Ben-Ari described the Empathy Toy as “3-D, abstract, wooden puzzle pieces that are played blindfolded. One player is given a build pattern of abstract wooden puzzle pieces and one or more players is tasked to recreate that same pattern. The challenge is that everybody is blindfolded while playing. Saint John’s High School in Winnipeg is using the Empathy Toy for its anxiety, language and literacy classes as a foundation of its new leadership program. 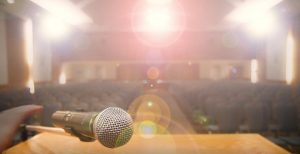 “Looking at someone else’s point of view, putting yourself into someone else’s shoes, and being able to work with and understand other people, [their] thinking and perspectives is very much at the heart of what skills you need to develop, to be able to learn,” said Ben-Ari. 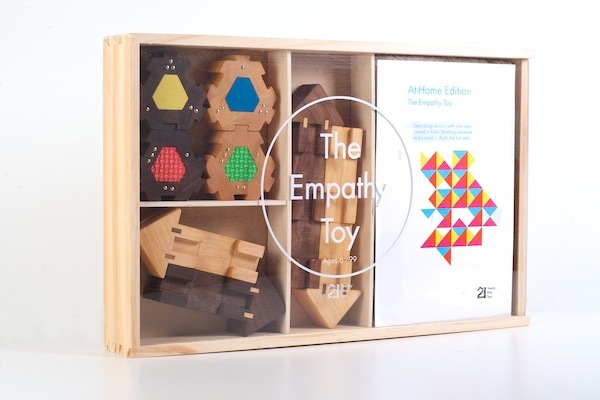 There are three versions of the Empathy Toy: a home version (also referred to as the “light version”) that sells for around $100; a school version that sells for $150-$200, with the price per unit going down with the more toys a school buys; and a version designed for organizations that sells for more than $200. In British Columbia, Ben-Ari is aware of three places, so far, that are using the Empathy Toy – Holly Elementary in Surrey, the Discovery Centre for Entrepreneurship (Canada’s first Entrepreneurial Leadership Academy) and Coquitlam Open Learning. It is also being used at Winnipeg’s Gray Academy of Jewish Education and at Toronto’s Heschel School. The only place that sells the home version of the toy, apart from the 21 Toys website, is the Canadian Museum for Human Rights in Winnipeg. Next in 21 Toys’ design sights is the Failure Toy, for which the company has nearly finished the prototype. “This toy will look like a cousin to the Empathy Toy,” said Ben-Ari. “It’ll be an abstract puzzle with funny game dynamics. For more information, visit twentyonetoys.com. Next Next post: Celebrating the holidays in rural B.C.